Quality is always important and that is why there is Stacy Adams. When you wear Neck Ties, the stitching needs to be perfect, the fabric needs to be fine and needs to look great with your Stacy Adams Shoes. That is why you can't go wrong wearing a Stacy Adams Neck Ties. Quality and Style is always important with Stacy Adams Neck Ties. 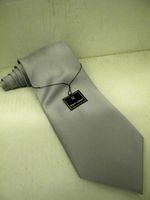 You know a Stacy Adams Neck Ties will look good and last. Stacy Adams Neck Ties don't compromise on their fabric or manufacturing techniques. Once you buy some Stacy Adams Neck Ties you will be Hooked. To Get the most out of your Stacy Adams Neck tie, try learning how to tie a Full Windsor Knot and get that nice big triangular knot. Learn More about Stacy Adams Here.